Every day, Watch This offers staff recommendations inspired by a new movie coming out that week. This week: Both the new This Is Where I Leave You and last week’s The Skeleton Twins are about brothers and sisters. For the next five days, we single out more films that highlight that unique relationship. The basic outline of Our Idiot Brother has a studio-comedy simplicity: Ned (Paul Rudd), just out of jail for a trumped-up drug-dealing rap (and fresh off a four-time victory as “most cooperative inmate” of the month), invades the lives of his ostensibly more grown-up sisters, Liz (Emily Mortimer), Miranda (Elizabeth Banks), and Nat (Zooey Deschanel). Once it becomes clear that Ned’s sisters are just as screwed up as he is, if not more so, the movie flirts with trite lessons about family. Instead, it takes a well-realized look at the dynamics of this particular family. It’s possible that the film’s observations come from personal experience. Director Jesse Peretz, a part-time feature director who’s had more success in music videos (after co-founding the Lemonheads, he became their go-to photographer) and television (directing many episodes of Girls and New Girl), conceived the story with his sister Evgenia, who then wrote the screenplay with her husband, David Schisgall. They supposedly had Rudd in mind while writing; if so, it was a savvy move. Ned doesn’t immediately scan as an obvious role for Rudd—which makes his quietly masterful performance all the more impressive. Ned is a pot-smoking, beard-growing, produce-tending dude who names his dog Willie Nelson, but Rudd and the filmmakers don’t drown the character in hippie clichés. Rather, they zero in on his indomitable good nature; he’s the type of guy prone to exclaim “I’ll watch Dune with you!” to someone he’s known for 30 seconds. He doesn’t throw his sisters off by meddling in their lives so much as by employing an enthusiasm and guileless honesty that they have a hard time understanding. Beyond capturing Ned’s relationship with his sisters (characterized by their sometimes-uneasy attempts to humor him), Our Idiot Brother also finds time to capture the sisters’ relationships to each other: the formation of small alliances, the spreading of gossip, and passive-aggressive attempts to manage each other, like a sympathy session about marital problems that turns into catty criticism, or a dinner conversation that steers everyone away from helping Ned out with cash (“I thought we agreed as a family not to lend each other money”). Because the movie establishes Ned as a guy virtually unable to say anything angrier than “You know what? Wow,” his eventual outburst against his family isn’t just a screenplay checkpoint. Rudd brings it real pain and frustration. The movie casts the family’s assorted friends and love interests with enough comic pros—Adam Scott, Rashida Jones, Steve Coogan, Kathryn Hahn, and T.J. Miller—for a season of high-quality TV. 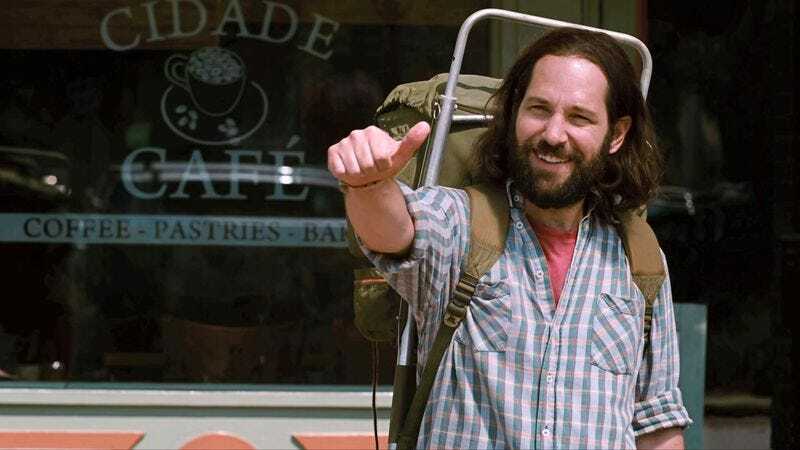 But Our Idiot Brother doesn’t feel like a truncated series or a big-screen sitcom; it just maintains an unusual (and Ned-like) generosity towards even its minor characters. It’s something of a trifle, but more trifles should be this warm and funny. Availability: Our Idiot Brother is currently streaming on Netflix. It’s also available on Blu-ray and DVD, which can obtained from your local video store, and to rent or purchase from the major digital outlets.